Abstract submission have been extended! Each abstract submitted will cost the submitter $50 CND. This standard practice ensures that abstracts submitted are from committed authors/presenters and provide rich content for the technical program. Payment will be part of the submission process and will generate the appropriate confirmation and receipt. 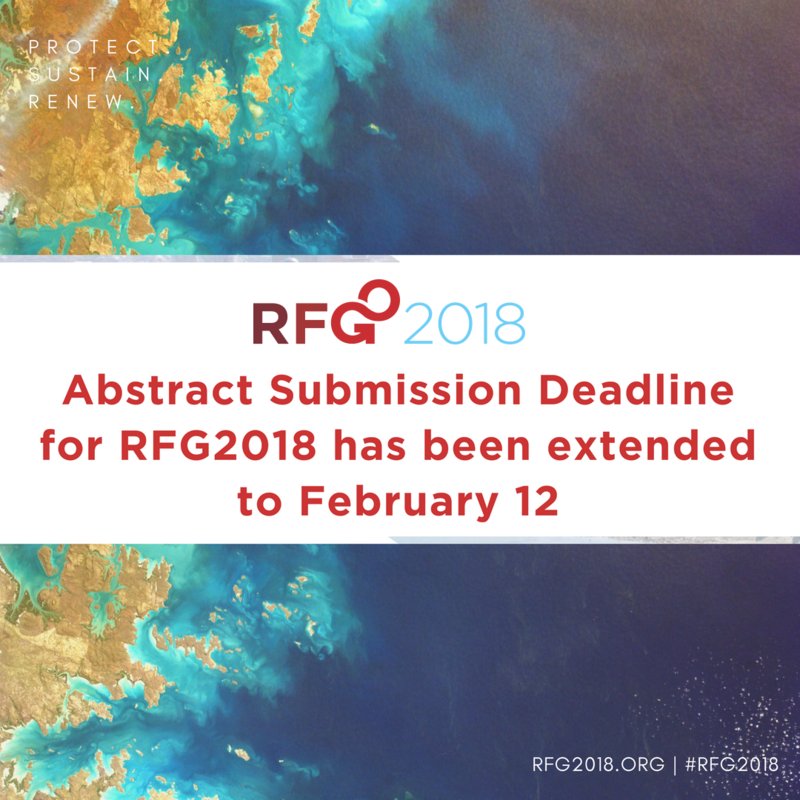 The RFG2018 organizing committee is pleased to announce that, as part of an effort to enhance Student and Indigenous participation at the conference, we will refund the $50 abstract submission fee for Student and Indigenous presenters of accepted abstracts who register for the conference.